AMD recently submitted an updated driver for Linux operating systems. Some curious types have already delved into the code seeing what they can find and come up with some rather juicy Vega GPU details. In related news, Vega device IDs found so far indicate that AMD has lined up at least three RX Vega SKUs for launch. That's a pretty clear list of GPU specs for us to ponder. 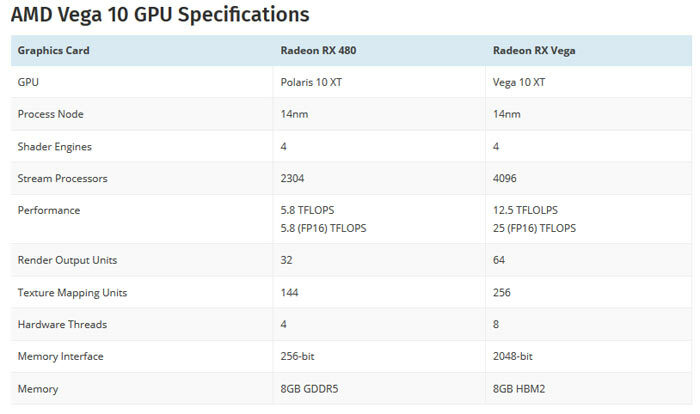 WCCFTech put together an easier on the eye comparison table to show the advance from the Polaris-based Radeon RX 480 to the new Vega GPU, as outlined above. 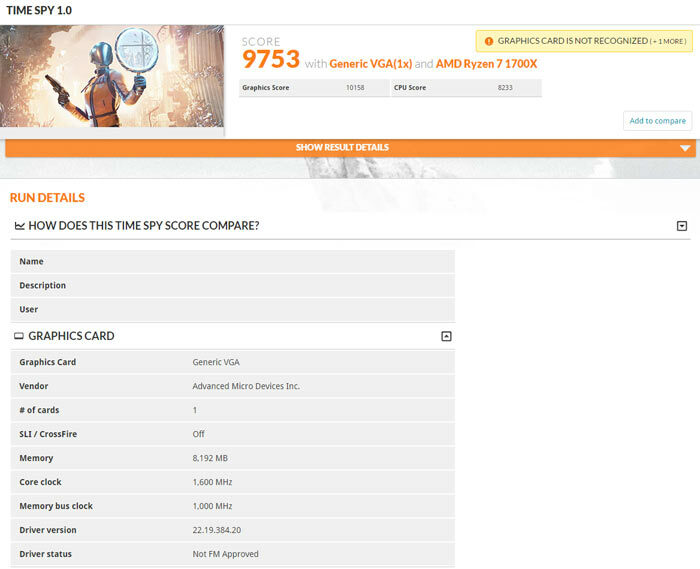 Some leaked info published by a Guru3D forum user (via TechPowerUp), indicates that AMD is preparing at least three Vega 10 SKUs; 687F:C1, 687F:C2, and 687F:C3. All three of these offer 8GB of HBM2 memory. 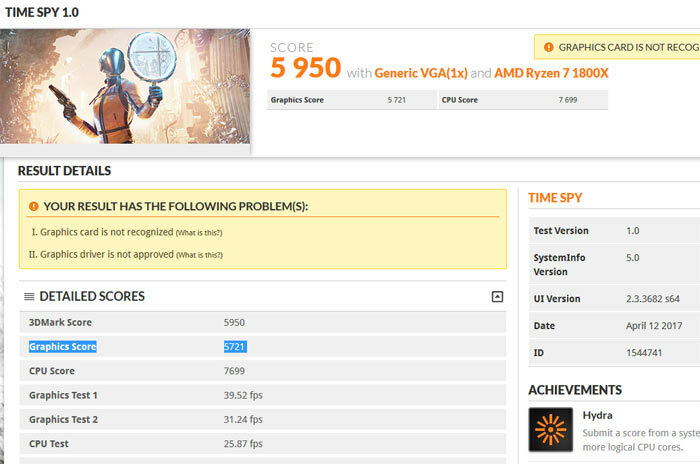 According to the source (unverified benchmarks: pinch of salt required), the slowest of the new SKUs offers faster performance (Time Spy) than Nvidia's GeForce GTX 1070, with the fastest SKU punching at about the same level of the GTX 1080 Ti. TPU reckons that the three SKUs will vary in core configurations and clock speeds and AMD could do a 'Fury' - with hybrid, air cooled and Nano Vega cards. 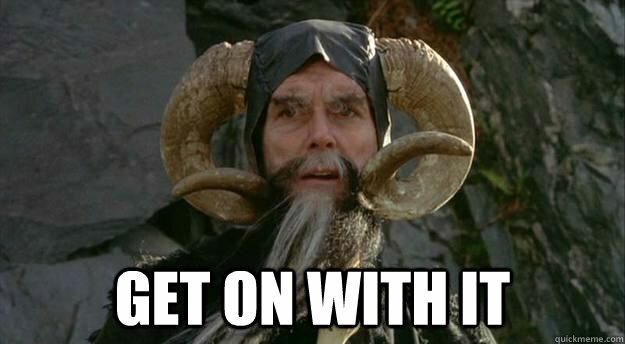 Give me 1080 performance for sub £400 from a good AIB partner with decent cooler and I'll bite.